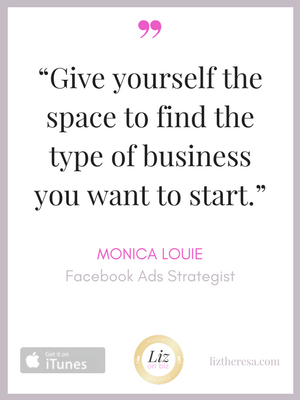 Monica Louie is a Facebook Ads Coach + Strategist who helps ambitious online entrepreneurs strengthen their impact and grow their profits by harnessing the power of Facebook ads. 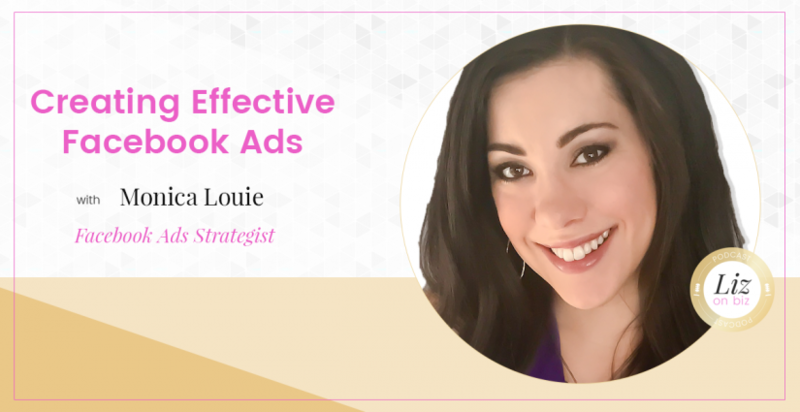 She’s also the creator of Flourish with Facebook Ads, a step-by-step Facebook ad system to help bloggers, coaches, and online experts create campaigns that convert! [3:00] – Where her Facebook ads business came from. [6:30] – That time she paid off $100,000 in debt in 2 years. [9:12] – Her first webinar CPC was THIS amount, which was considered exceptional by experts like Amy Porterfield. [11:24] – Selling her blog! [14:01] – Monica originally wanted to be a financial advisor. [15:54] – On positioning herself as an expert. [16:33] – Shyness in real life. [24:38] – On personal branding. 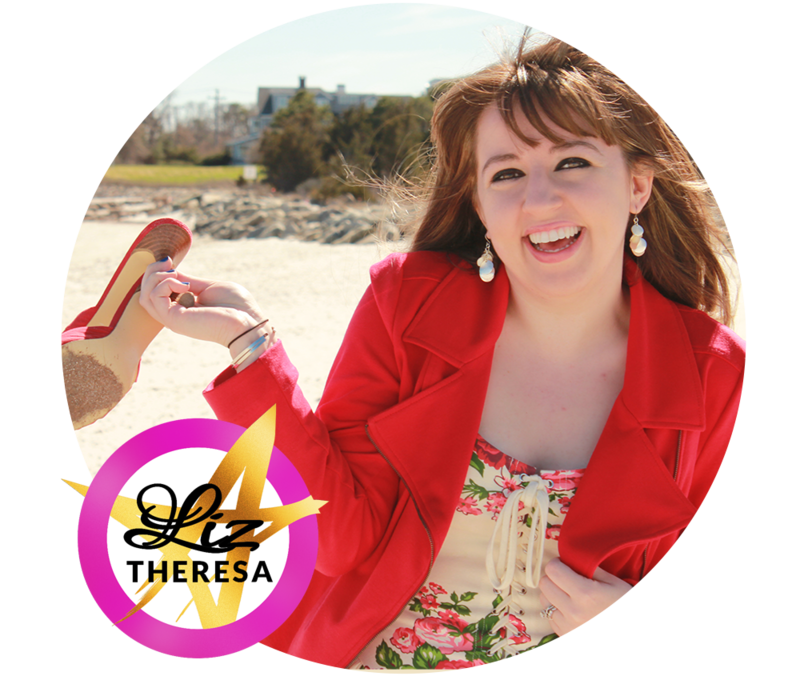 [30:25] – About her course, Flourish with Facebook Ads. [36:00] – Her #1 Facebook Ads tip for entrepreneurs.